If you don't know of or can't find a place to fish, one telephone call can put you in (cool) water. Each state has a government department that manages that state's fisheries. These state fish and game departments, as they are generally known, are charged with setting the dates for fishing seasons, implementing and enforcing the rules regarding the size and the number of fish taken, enforcing those rules, and generally caring for those waters harboring fish. They work and operate both actively (such as constructing boat-launch sites and fishing platforms, surveying fish stocks, and monitoring their health) and in a watchdog sense (such as reporting polluters to the proper authorities). Each state fish and game department can provide a free listing of the public fishing waters in an area. Sometimes these waters are listed in a compendium, or abstract, that summarizes the current (annual) fishing rules and regulations. 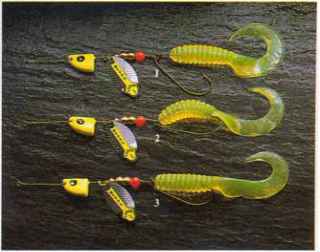 These compendiums are available free from fishing license agents. If the compendium doesn't list all public waters, call your state's fish and game department and ask. 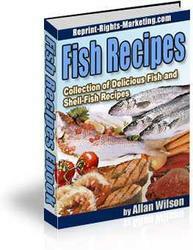 See Appendix A for a list of all fish and game department phone numbers. There are also many miles of waters that are under federal jurisdiction, presided over by the Department of Agriculture and the Department of the Interior (the latter consisting of the Bureau of Land Management, the U.S. Park Service, the U.S. Fish and Wildlife Service, the Bureau of Reclamation, the Department of Defense/U.S. Army Corps of Engineers, and the Tennessee Valley Authority). Your state's fish and game department will include these federal waters in their lists of fishable waters; details about them are available by contacting the individual department. State fish and game departments have jurisdiction in salt water as well. Most bays, tidal rivers, and beaches have numerous public accesses. Again, your state fish and game department can provide details. Many state fish and game departments run intensive stocking programs, in which hatchery-raised fish are released into suitable waters.